Cannabis is a plant and, as hemp, a source for fibers, oil, and seed. 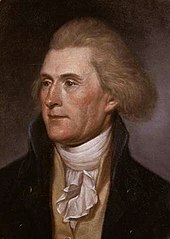 Prior to its prohibition, U.S. politicians known for growing hemp include some of the nation's Founding Fathers and presidents. Politicians who have admitted to recreational use of the drug during prohibition include mayors, governors, members of the House of Representatives, Senators and presidents. In the U.S., cannabis was initially grown for industrial reasons, though it quickly became a staple medicinal product in the early 19th century and recreational use became more prevalent during the 20th century. Harry J. Anslinger, Commissioner of the Federal Bureau of Narcotics, responded to political pressure to ban marijuana at a nationwide level. The Marihuana Tax Act of 1937 created an expensive excise tax, and included penalty provisions and elaborate rules of enforcement to which marijuana, cannabis, or hemp handlers, were subject. Mandatory sentencing and increased punishment were enacted when the United States Congress passed the Boggs Act of 1952 and the Narcotics Control Act of 1956. During the counterculture of the 1960s, attitudes towards marijuana and drug abuse policy changed as marijuana use among "white middle-class college students" became widespread. In Leary v. United States (1969), the Supreme Court held the Marihuana Tax Act to be unconstitutional since it violated the Fifth Amendment to the United States Constitution, privilege against self-incrimination. In response, Congress passed the Controlled Substances Act as Title II of the Comprehensive Drug Abuse Prevention and Control Act of 1970, which repealed the Marihuana Tax Act. In 1972, the National Commission on Marijuana and Drug Abuse concluded that marijuana should be decriminalized, but that public use and driving while intoxicated should remain illegal. By the end of the decade, several states had decriminalized the drug, while many others weakened their laws against cannabis use. However, a wave of conservatism during the 1980s allowed president Ronald Reagan to accelerate the War on Drugs during his presidency, prompting anti-drug campaigns such as the "Just Say No" campaign of First Lady Nancy Reagan. Federal penalties for cultivation, possession, or transfer of marijuana were increased by the Comprehensive Crime Control Act (1984), the Anti-Drug Abuse Act (1986), and the Anti-Drug Abuse Amendment Act (1988). Since California voters passed the Proposition 215 in 1996, which legalized medical cannabis, several states have followed suit. 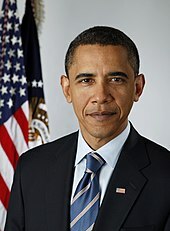 However, United States v. Oakland Cannabis Buyers' Cooperative (2001) rejected the common-law medical necessity defense to crimes enacted under the Controlled Substances Act because Congress concluded that cannabis has "no currently accepted medical use" and Gonzales v. Raich (2005) concluded that the Commerce Clause of the Article I of the Constitution allowed the federal government to ban the use of cannabis, including medical use. Today, cannabis remains classified as a Schedule I drug under the Controlled Substances Act, and possession is punishable by up to one year in jail and a minimum fine of $1,000 for a first conviction. Schlosser, Eric (2003). "Chapter 1: Reefer Madness". Reefer Madness. Houghton Mifflin. pp. 13–74. ISBN 0-618-44670-2. ^ Kelly, Annie (September 27, 2006). "Hemp is at hand". The Guardian. Guardian Media Group. Retrieved November 21, 2009. ^ a b Wren, Christopher (April 1, 1999). "U.S. Farmers Covet a Forbidden Crop". The New York Times. The New York Times Company. Retrieved November 21, 2009. ^ Wasserman, Harvey (January 29, 2009). 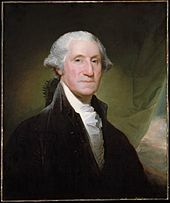 "This President's Day, Remember that George Washington Raised Hemp & Probably Smoked it". The Huffington Post. Retrieved November 21, 2009. ^ Tschorn, Adam (August 30, 2009). "Marijuana's new high life". Los Angeles Times. Tribune Company. Retrieved September 30, 2009. ^ Jimmy Vielkind, Rob Astorino 'smoked a couple of joints' in college, Politico New York (March 7, 2014). ^ a b c "Gore and Babbitt also confess they smoked marijuana". The Gainesville Sun. The New York Times Company. November 8, 1987. Retrieved September 30, 2009. ^ "NY Mayor appears in marijuana ads". BBC News. April 9, 2009. Retrieved September 30, 2009. ^ Barabak, Mark (August 21, 1999). "To Err, Bush May Find in the '90s, Is to Be Forgiven". Los Angeles Times. Tribune Company. p. 2. Retrieved September 30, 2009. 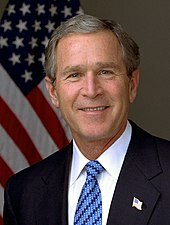 ^ "Bush admits to smoking pot in taped discussion". Taipei Times. Associated Press. February 21, 2005. Retrieved January 20, 2012. ^ Miller, Jake (January 31, 2015). "Jeb Bush is a hypocrite about marijuana, Rand Paul says". CBS News. Retrieved February 8, 2015. ^ Estep, Bill; Jack Brammer (October 14, 2010). "Rand Paul accused of using marijuana in college; Jack Conway admits he tried it". Lexington Herald-Leader. The McClatchy Company. Retrieved October 16, 2010. ^ a b c d e f "Several politicians admit marijuana use". The Register-Guard. Guard Publishing. March 5, 1990. Retrieved November 6, 2009. ^ Ayres, B. Drummond (August 25, 1999). "Political Briefing; In Rhode Island, A Decision to Tell All". The New York Times. The New York Times Company. Retrieved September 30, 2009. ^ a b "Chiles follows Mack, admits smoking pot". The Gainesville Sun. The New York Times Company. November 10, 1987. Retrieved September 30, 2009. ^ "Clinton Tried Marijuana as a Student, He Says". The New York Times. The New York Times Company. March 30, 1992. Archived from the original on February 24, 2010. Retrieved September 30, 2009. ^ Walker, Henry (October 2, 1997). "Desperately Seeking the News". Nashville Scene. Village Voice Media. p. 1. Retrieved January 14, 2010. ^ a b Dewan, Shaila (August 6, 2002). "Cuomo Urges Repeal of Rockefeller Drug Laws and Offers New Sentencing Plan". The New York Times. The New York Times Company. Retrieved November 6, 2009. ^ a b c Smith, Jordan (November 14, 2003). "Dems on Drugs: Any Questions?". The Austin Chronicle. Austin Chronicle Corporation. Retrieved September 30, 2009. ^ Jillian Jorgensen, Bill de Blasio Says He Hasn't Smoked Weed Since College, New York Observer (November 19, 2015). ^ Schwartzman, Paul (July 30, 1998). "Cheering for George Mary Donohue takes spotlight to win place in Pataki's shadow". Daily News. Mortimer Zuckerman. Archived from the original on March 25, 2010. Retrieved November 6, 2009. ^ Ellison, Michael (February 7, 2000). 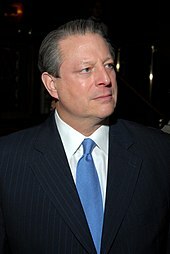 "Gore was avid pot smoker - book". The Guardian. Guardian Media Group. Retrieved September 30, 2009. ^ Carden, Dan (February 27, 2019). "Gov. Holcomb admits using marijuana in college, still opposes legalization in Indiana". The Times of Northwest Indiana. ^ "Should the Government Legalize Drugs?". CNN. February 22, 2001. Retrieved November 6, 2009. ^ Khalil AlHajal, John Kasich annoyed by question on whether he's smoked marijuana, MLive (March 8, 2016). ^ "Mayor Koch admits he's tried marijuana". Boca Raton News. South Florida Media Company. November 13, 1980. Retrieved September 30, 2009. ^ "Lamm Says He, Too, Tried Marijuana". Associated Press. August 22, 1996. Retrieved September 14, 2012. ^ a b "In Virginia, a Child's Illness Quiets a Congressional Campaign". The New York Times. The New York Times Company. August 29, 1994. Retrieved November 6, 2009. ^ Blumenthal, Les (November 17, 1987). "Only one area lawmaker admits pot use". The Spokesman-Review. Cowles Publishing Company. Retrieved December 1, 2009. ^ "Molinari Says Yes (Or No? ), She Inhaled". The New York Times. The New York Times Company. August 9, 1996. Retrieved September 30, 2009. ^ "NJ governor Phil Murphy says he tried pot 'once or twice'". New York Post. May 3, 2018. Retrieved May 6, 2018. ^ Seelye, Katharine (October 24, 2006). "Barack Obama, asked about drug history, admits he inhaled". The New York Times. The New York Times Company. Retrieved September 30, 2009. ^ Lerer, Lisa (August 29, 2008). "Palin: She Inhaled". CBS News. Retrieved September 30, 2009. ^ "David Paterson Admits Using Cocaine, Marijuana In His 20s". The Huffington Post. March 24, 2008. Retrieved November 6, 2009. ^ "Politician Fights Pot Charge". Star-Banner. The New York Times Company. October 4, 1978. Retrieved December 1, 2009. ^ Rohrabacher, Dana (May 13, 2013). "Dana Rohrabacher: The colossal failure of marijuana prohibition". Orange County Register. Retrieved March 14, 2014. ^ "Bernie Sanders on Hillary Clinton: 'Would she be interested in being my vice president?'". Yahoo News. June 1, 2015. Retrieved August 16, 2015. ^ "9 pols who talked pot". Politico. April 20, 2012. Retrieved January 22, 2014. ^ "Schwarzenegger: Calif. needs pot debate". MSNBC. May 6, 2009. Retrieved September 30, 2009. ^ "Getting high on marijuana issue". Pittsburgh Post-Gazette. Block Communications. November 28, 1987. Retrieved December 1, 2009. ^ Lisberg, Adam (August 27, 2009). "Bill Thompson and Tony Avella square off, gang up on Mayor Bloomberg in 1st mayoral debate". Daily News. Mortimer Zuckerman. Retrieved September 30, 2009. ^ "Heavyweight Guv Wins Plaudits".